SPEND THANKSGIVING IN THE DUNGEON – WITH DR. DRECK!!! 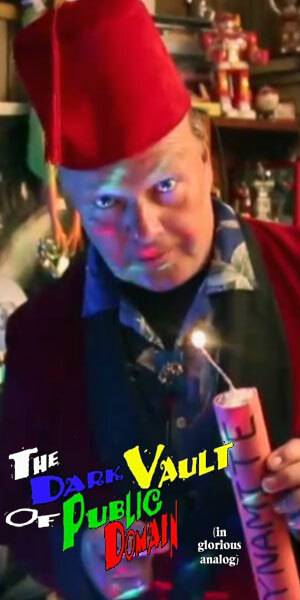 SOME EARLY THANKSGIVING CHEER FROM DR. DRECK AND BETA MAX TV!!! It’s less than 2 weeks to Thanksgiving, so it’s not too early to start thinking about giving the bird and eating! 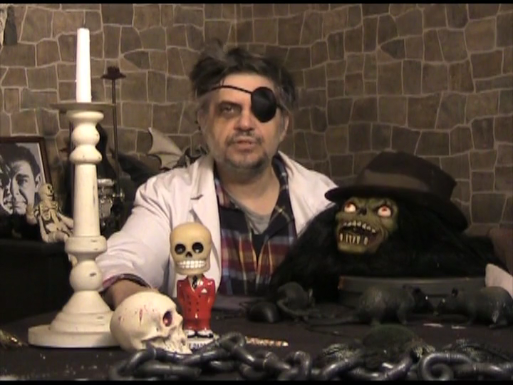 So, in the spirit of holiday cheer, Beta Max TV presents a special Thanksgiving episode of The Dungeon of Dr. Dreck. It’s Thanksgiving Day, and the good Doctor is alone. Moaner and all the rest of the Dungeon denizens are off celebrating the holiday in their own special way (except Shrunken Ed, who drops in for a bit of a chat). And being a day that has a lot to do with food, it seems appropriate that Dr. Dreck has a food related movie to show. Well…sort of. I EAT YOUR SKIN (1971) may sound like sampling of culinary cinema, but it’s not really. In fact, there’s not even any skin eating involved. But there are zombies. Lots of zombies. The classic zombie types too, not the modern day brain eating variety. And the evil doctor who has his hands on a zombie-making serum is very enthusiastic about creating enough of them to take over the world. Unfortunately, some outsiders stumble on to his remote island. Gotta watch out for those remote islands! So, start the Thanksgiving holiday ball rolling with The Dungeon Of Dr. Dreck. Hordes of mindless zombies – not much different from having the relatives over for Thanksgiving dinner, really. And you’ll find all that and more in I EAT YOUR SKIN – today’s holiday helping of horror on Beta Max TV!!! ← THE VOTES ARE IN FOR FUN ON BETA MAX TV!! !